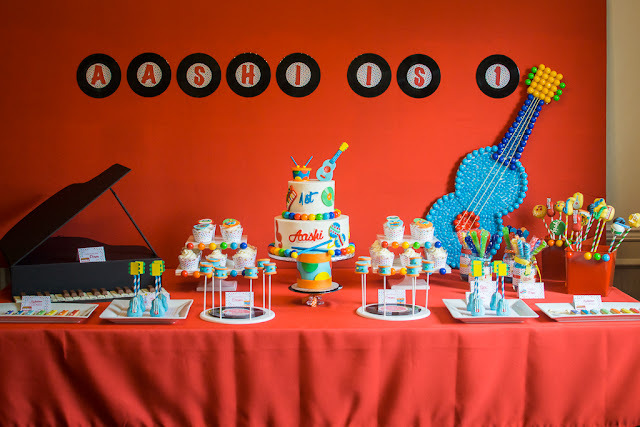 If you missed Part 1 of this post, click here to see photos and details of the dessert buffet and baby finger food buffet. 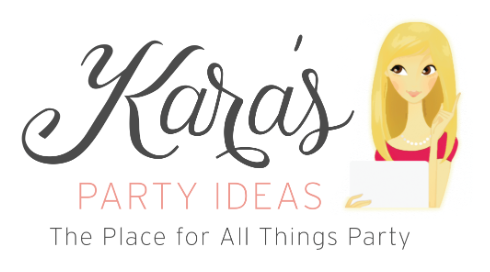 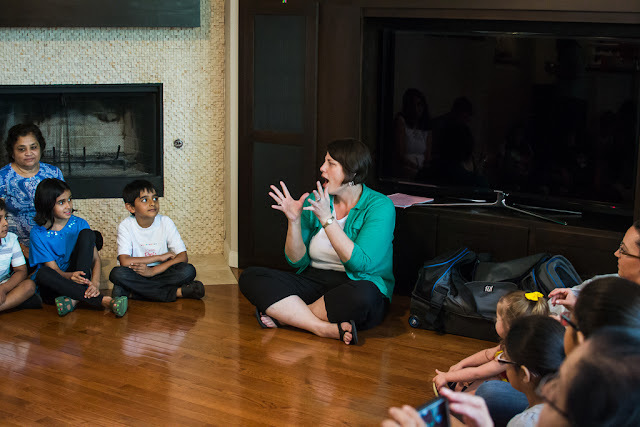 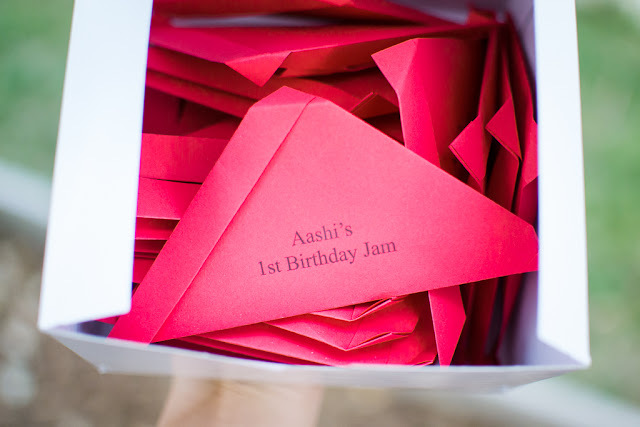 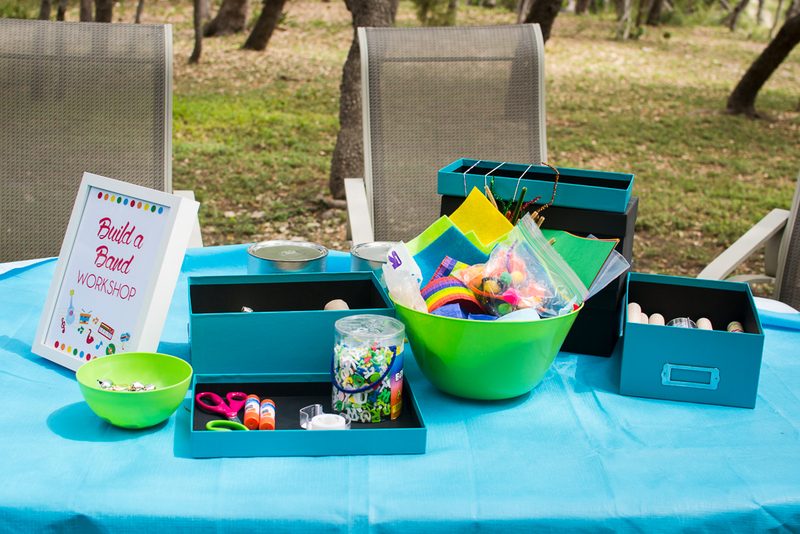 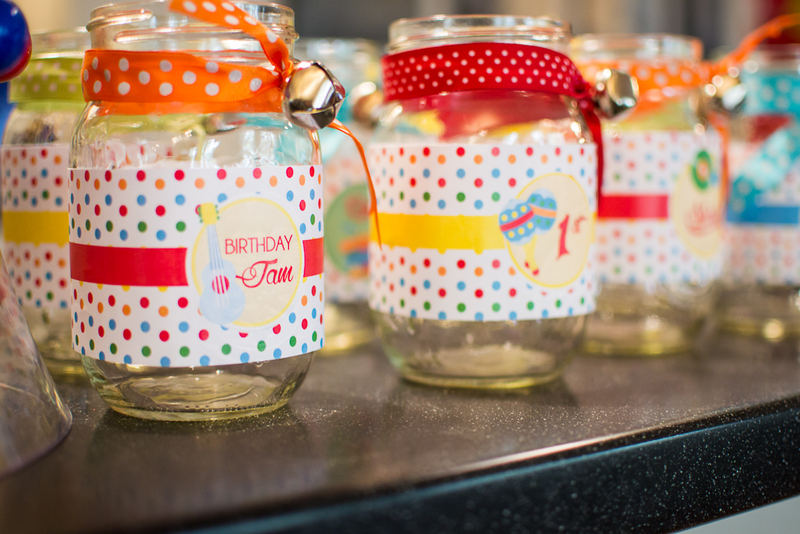 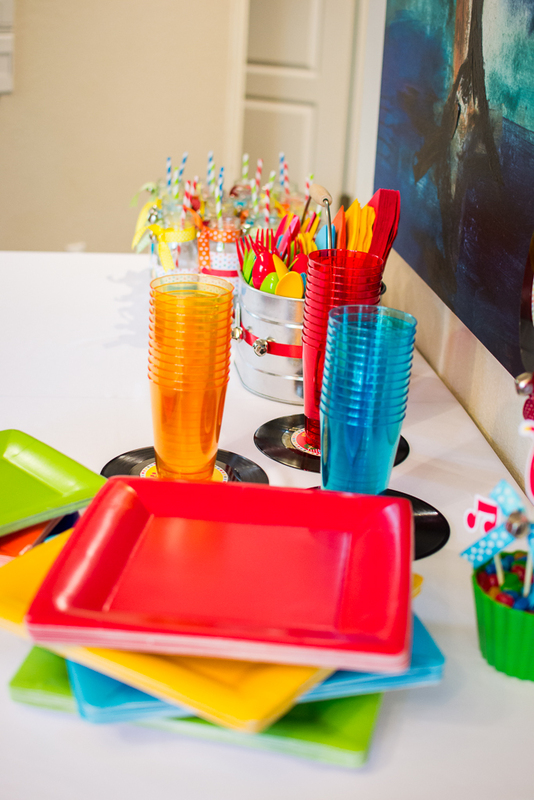 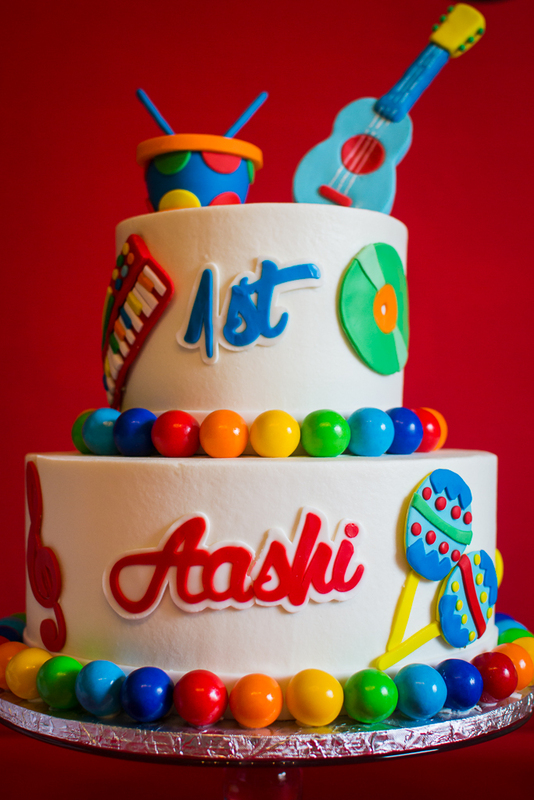 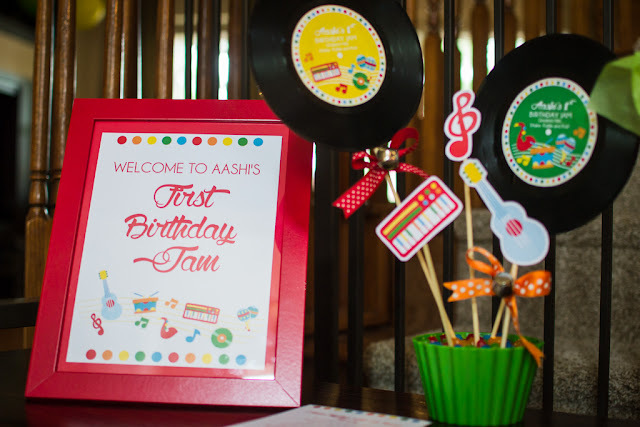 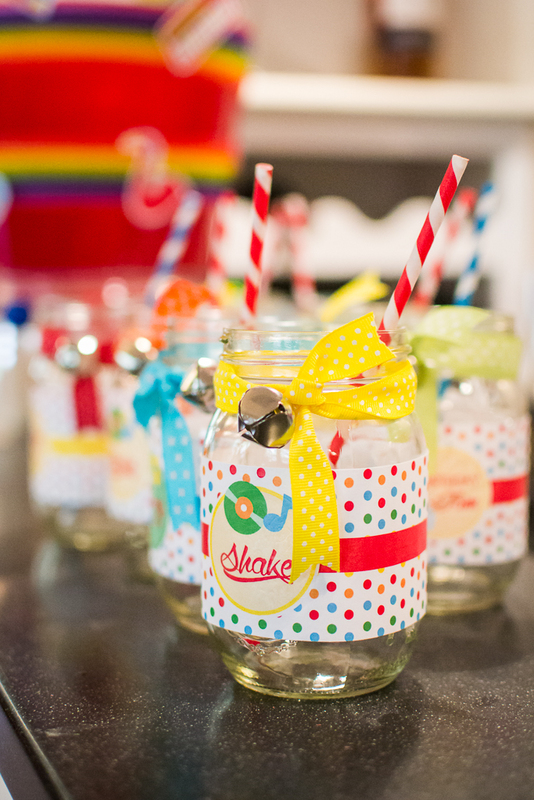 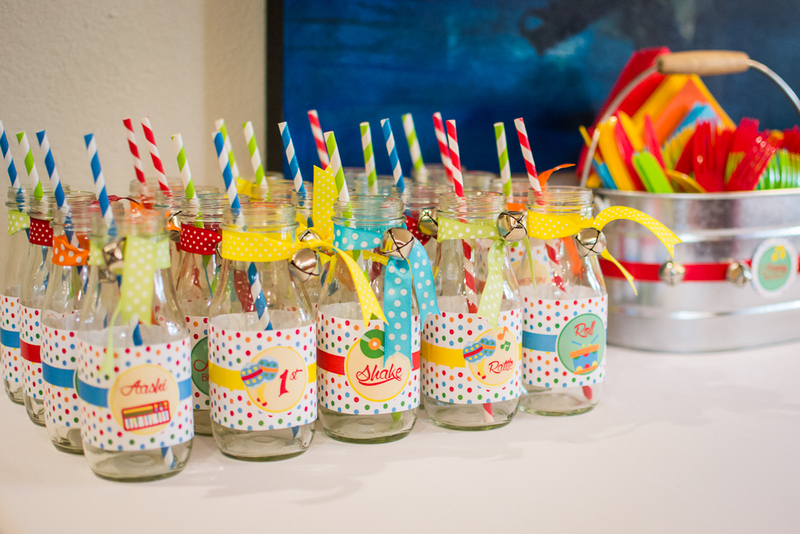 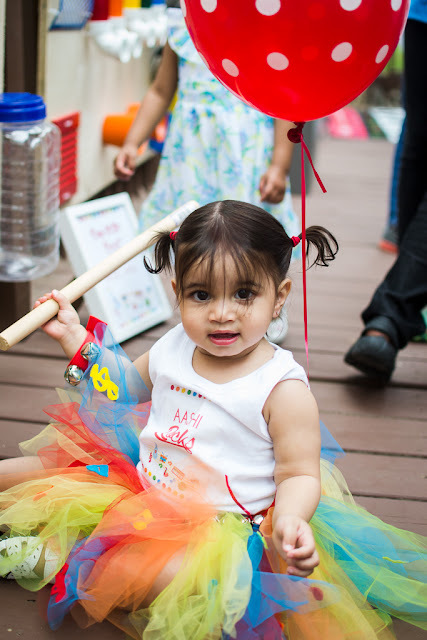 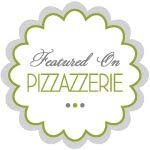 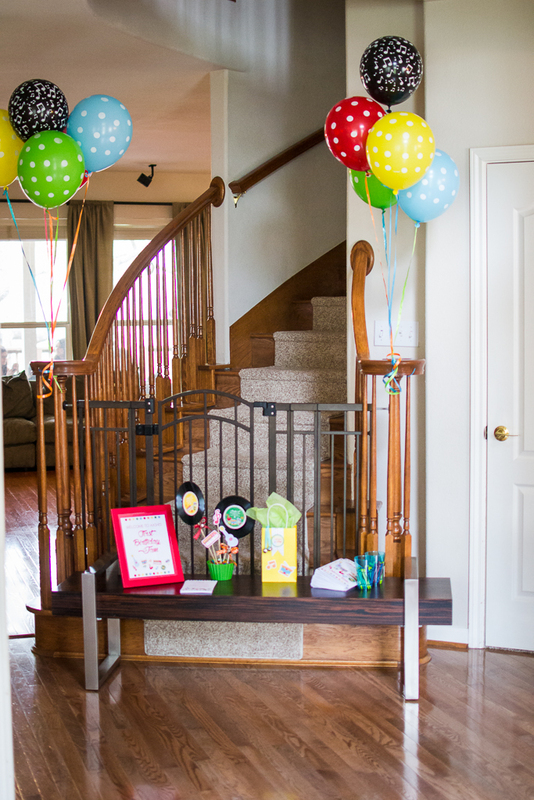 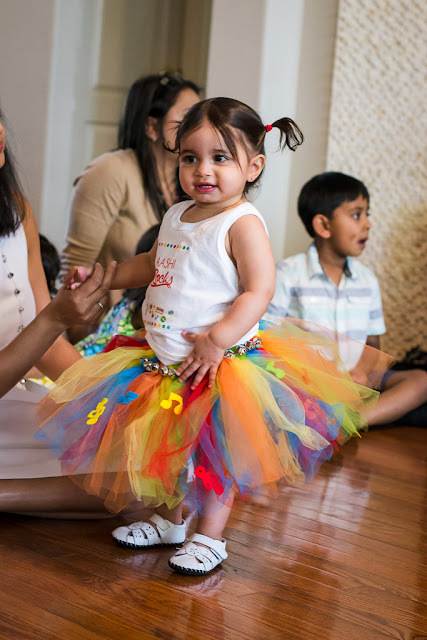 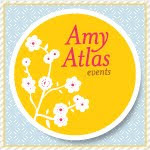 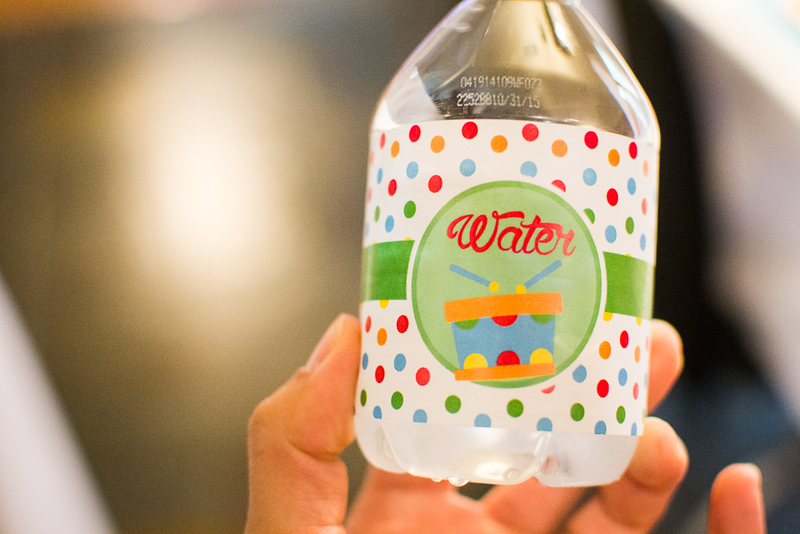 Part 2 discusses party games and activities, food, drink, decor and favors. 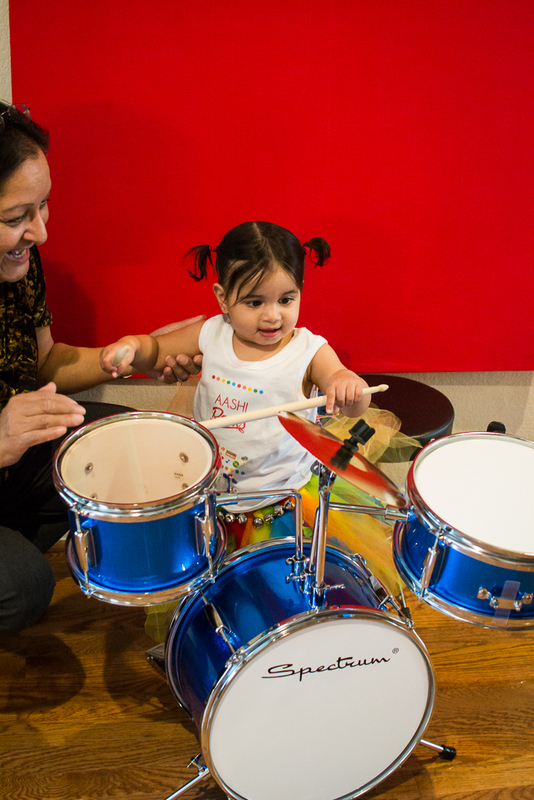 Since my daughter loves Music Together, we invited her teacher from Music Together, Ms. Becca, to come and hold a mixed-age class for the children. 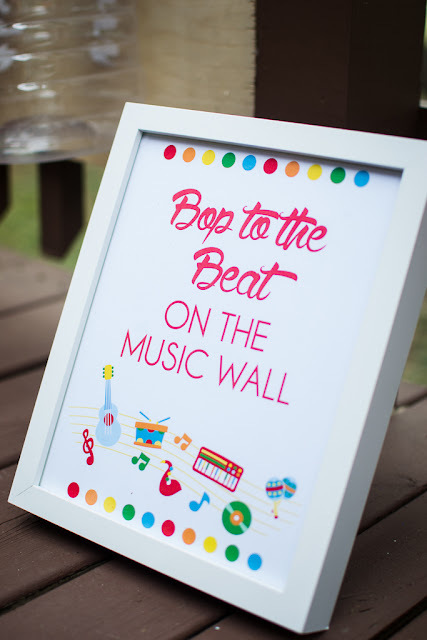 All of the children and babies, regardless of age, had a blast singing, dancing and playing instruments with Ms. Becca. 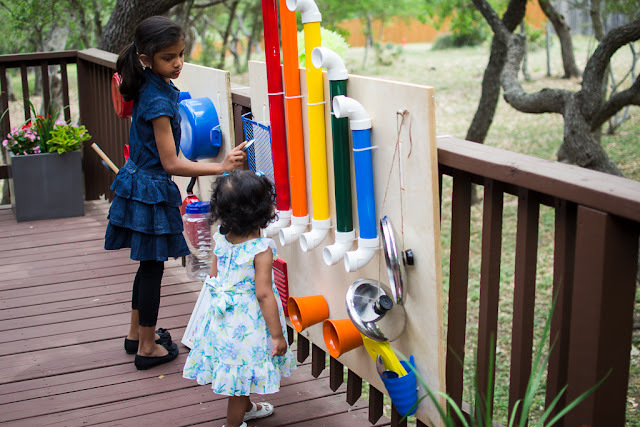 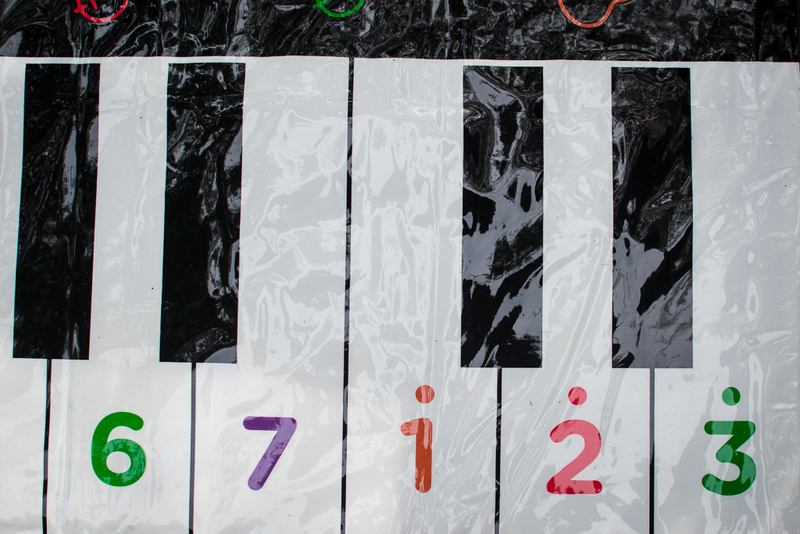 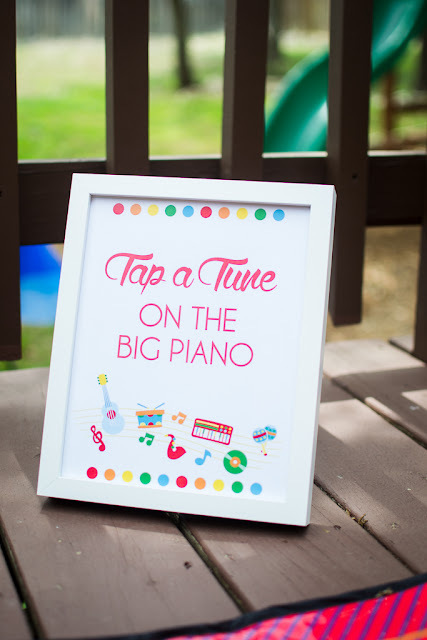 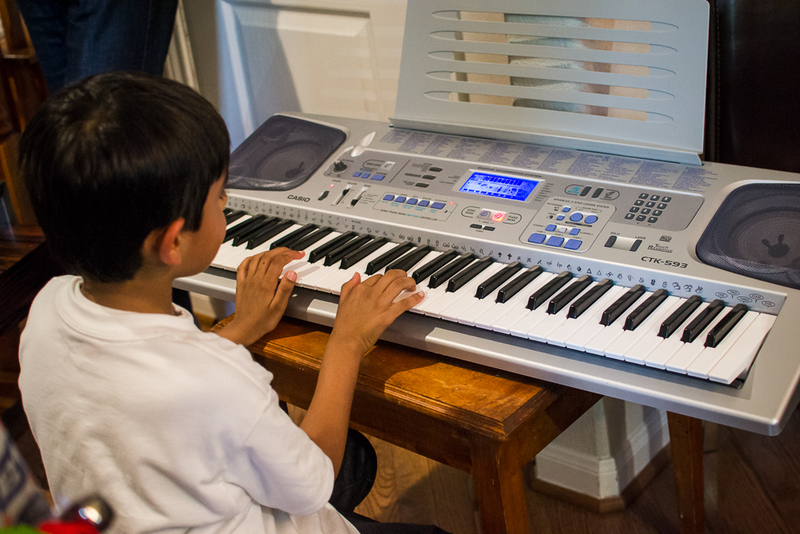 For the older children, we put out a “Big” piano (like the one in the movie) for them to play on. 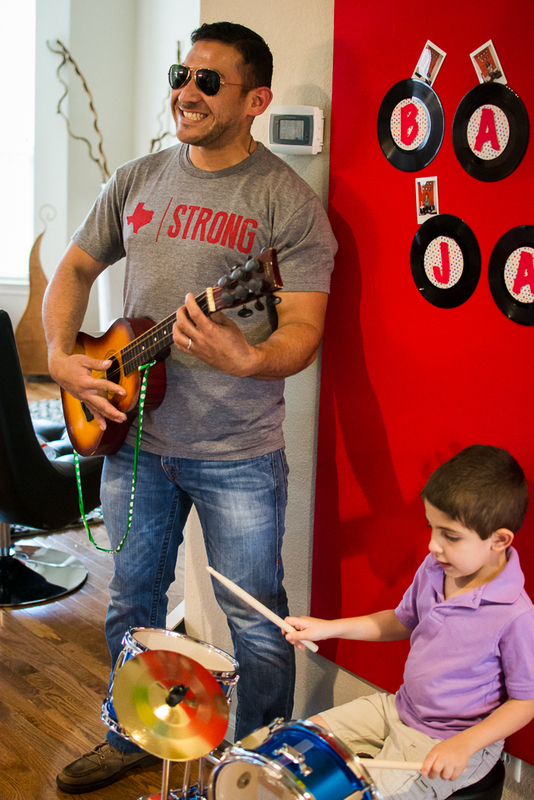 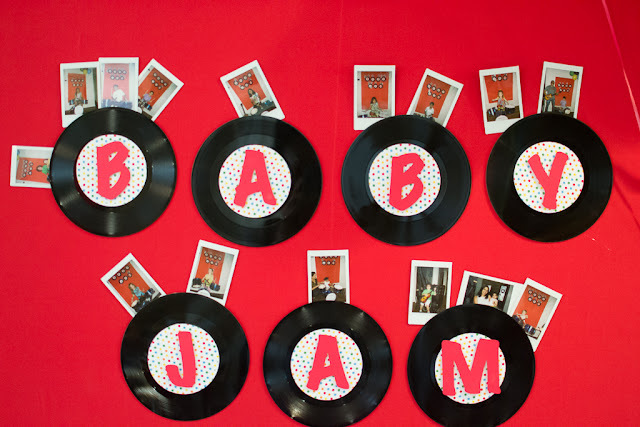 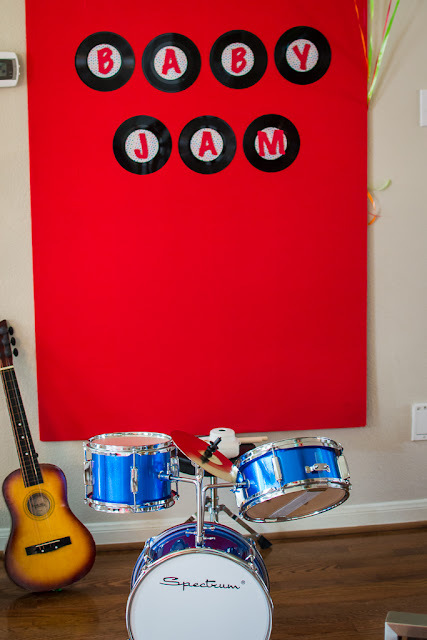 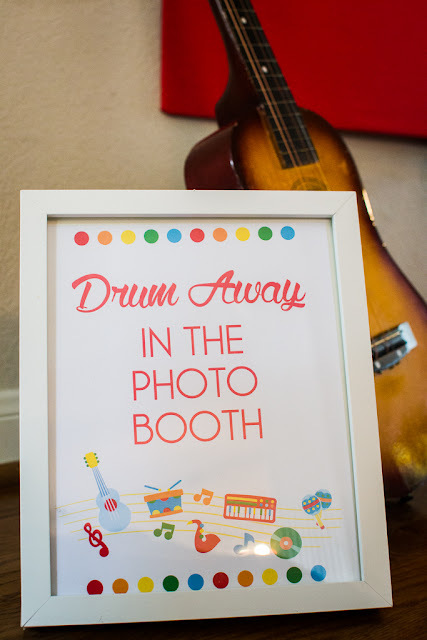 A photo booth has become somewhat of a staple for all my parties because they are just so much fun; here I set up a photo booth with a drum set and small guitar for the children to both play and pose with. 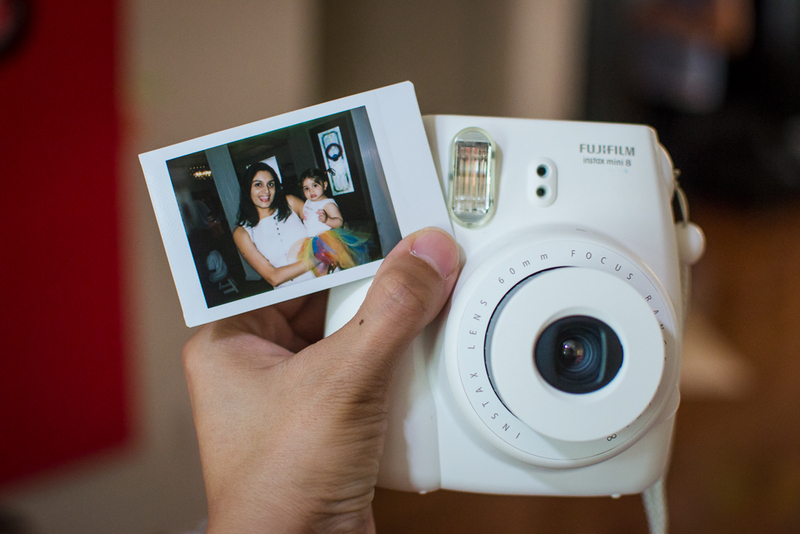 We used a Fuji Instax camera to take instant photos, so the guests could have the immediate gratification of taking their photo booth photos home. 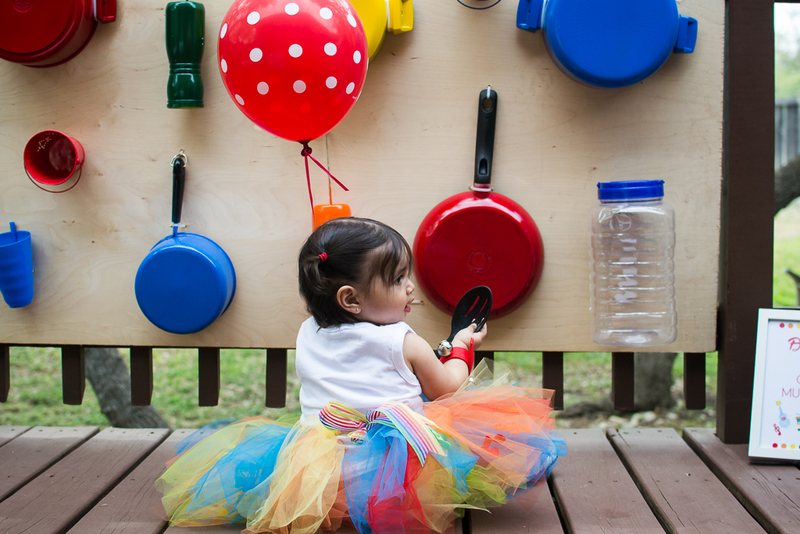 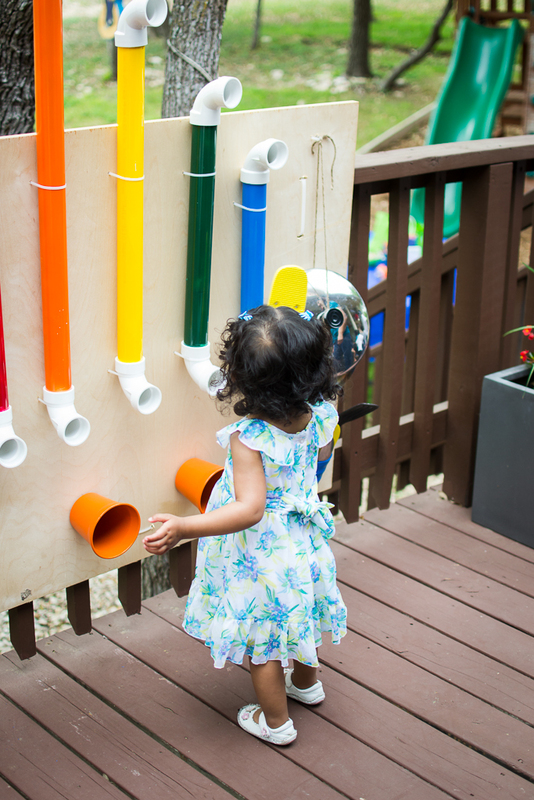 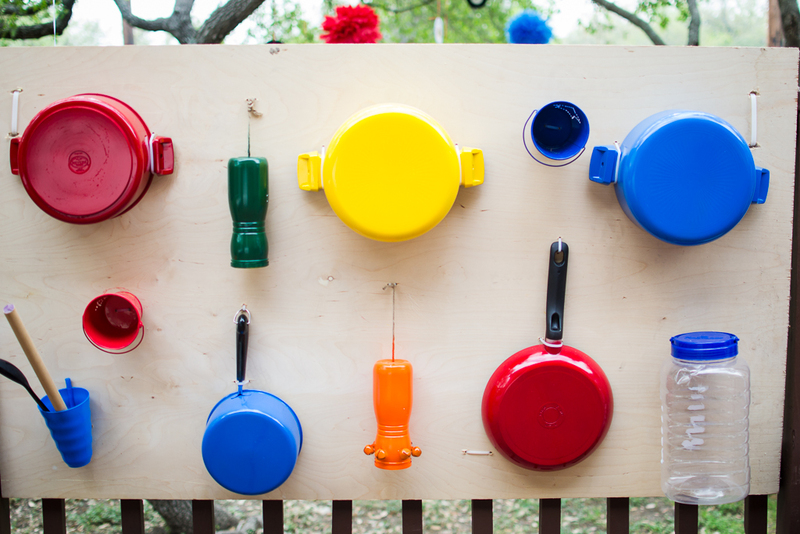 In addition, I made a “musical wall” with various pots and pans and kitchen utensils for the babies to play on; most babies love playing in the kitchen! 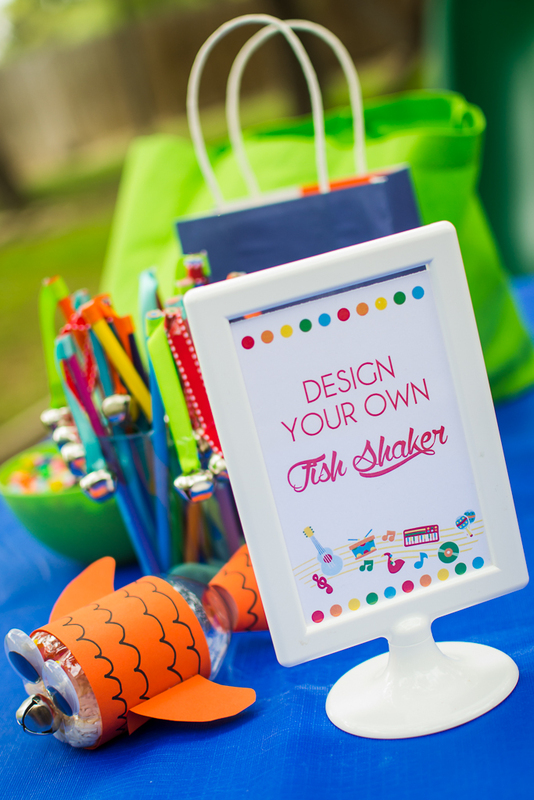 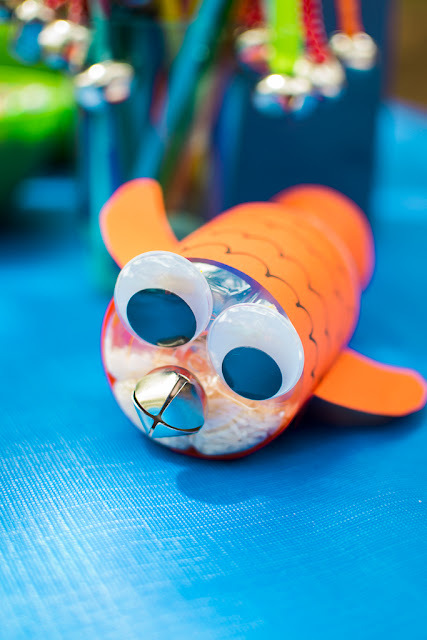 They also all got to design their own fish shaker to take home. 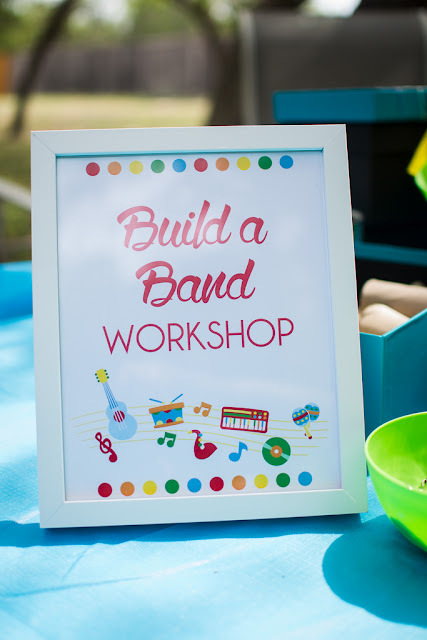 We also set up a “build a band” workshop, where they could make their own instruments using various boxes, tins and craft supplies. 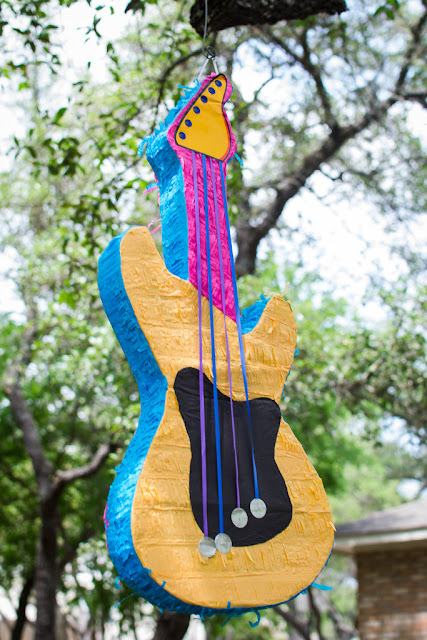 We also had a guitar piñata from Party City. 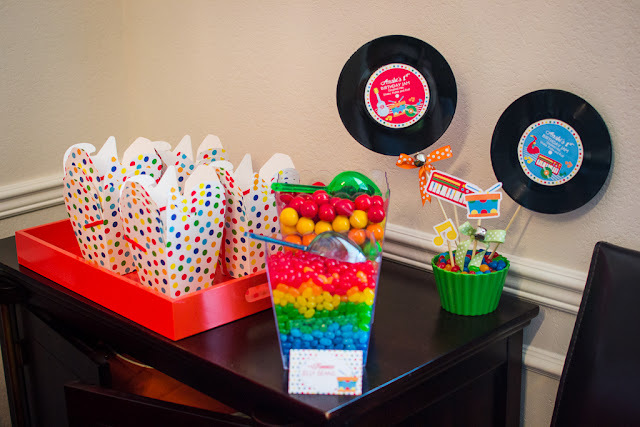 I filled the piñata with wrist bells, rather than candy, because we already had so much candy on the dessert table. Before we had cake and sang Happy Birthday, big brother Sohan played Happy Birthday on the piano for his little sister. 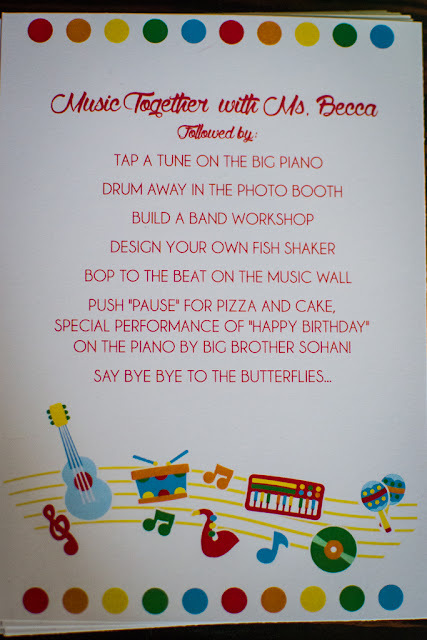 It was so touching. 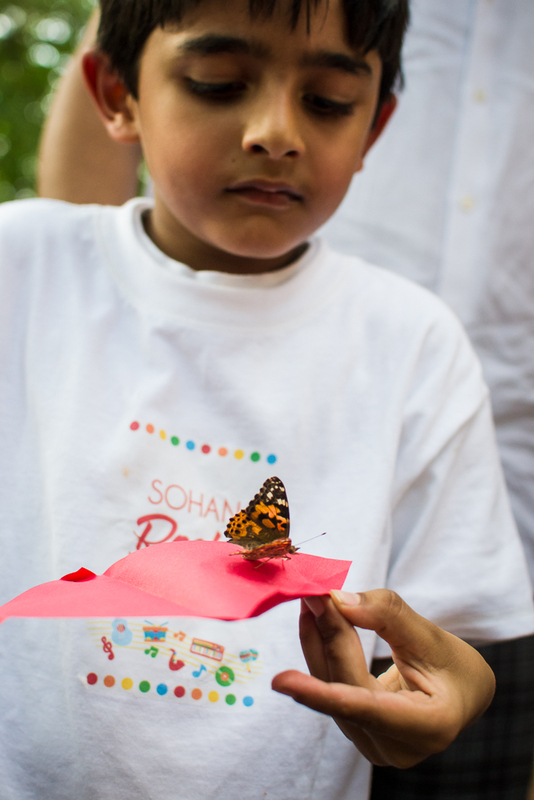 We concluded the party with a butterfly release. 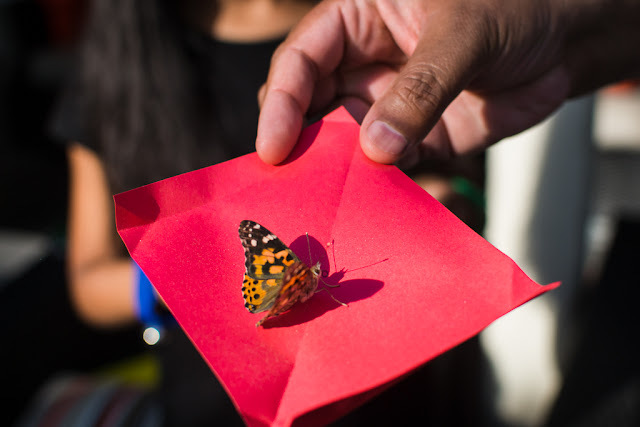 The butterfly release had nothing to do with the music theme, but we did the same thing at the end of my son’s 1st birthday party (Very Hungry Caterpillar-themed), so I thought it would make a fitting rite of passage to repeat for my daughter. 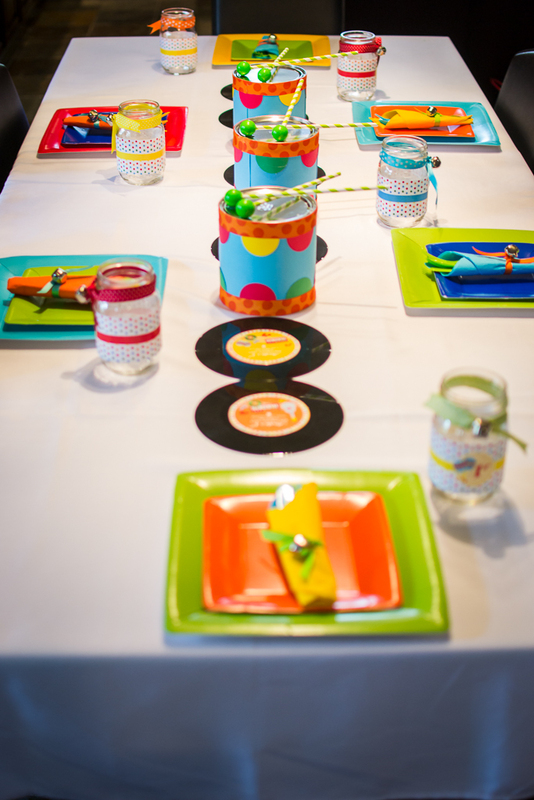 I tried to incorporate the music theme into the food and drinks wherever I could. 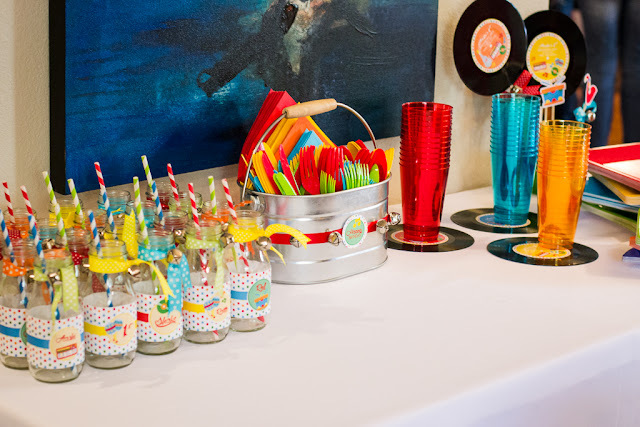 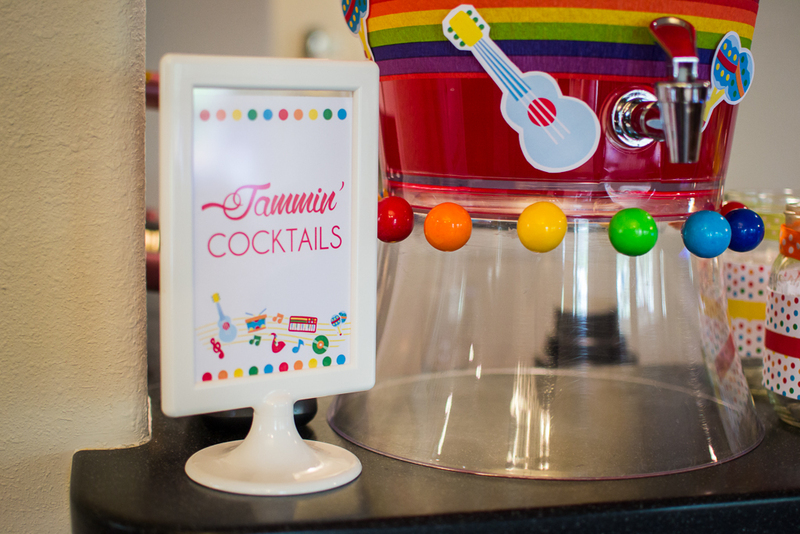 For example, we served “jammin’ cocktails” (in jam jars) for the adults and milk “shakes” for the children. 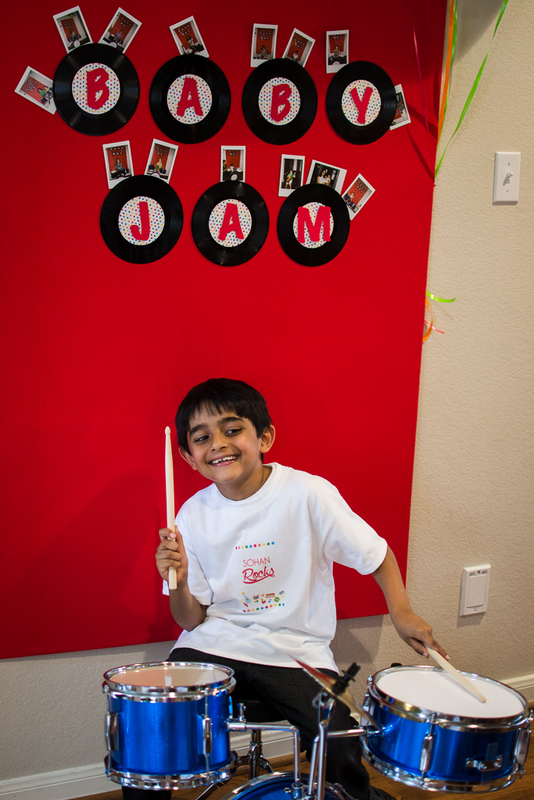 I made “rocking” T-shirts for the birthday girl, big brother Sohan and all of my family that helped out at the party. Throughout the décor, I used vinyl records and silver bells to embellish. 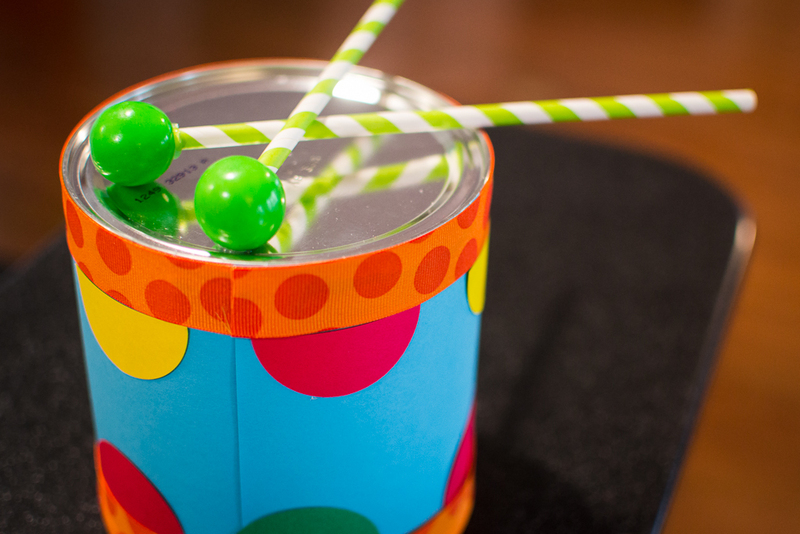 I made “drum” centerpieces out of formula cans. 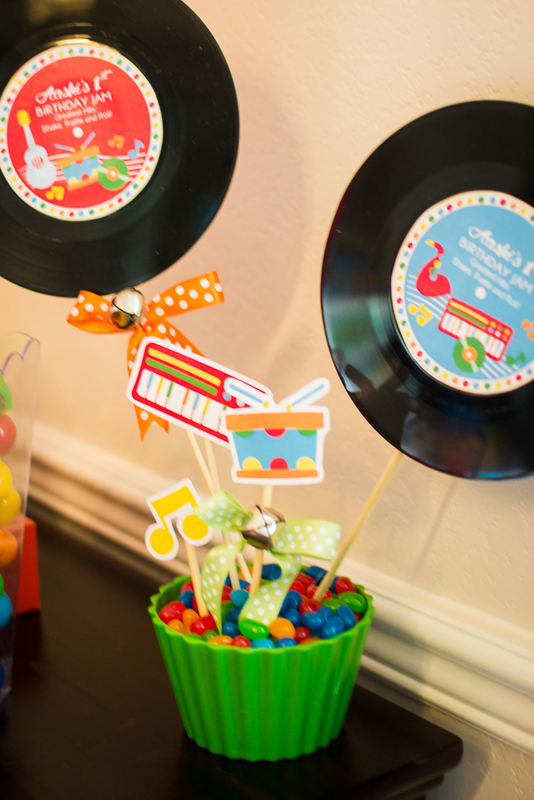 The drumsticks were made with paper straws and gumballs. 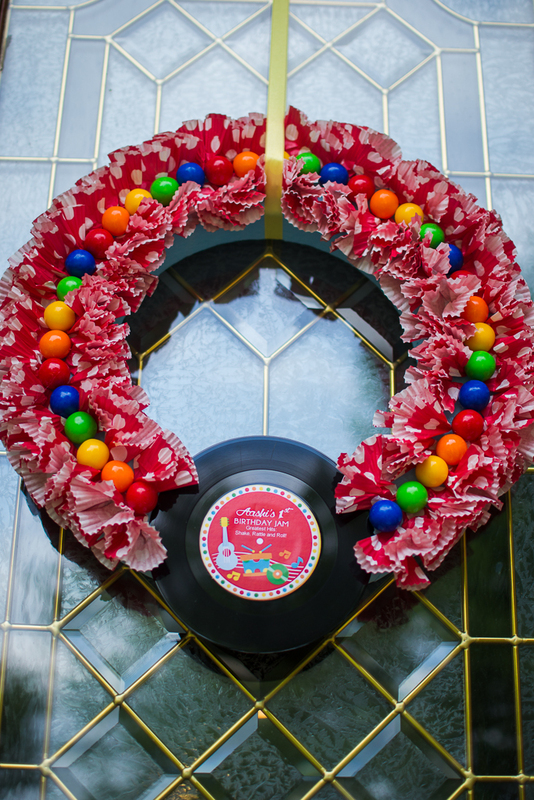 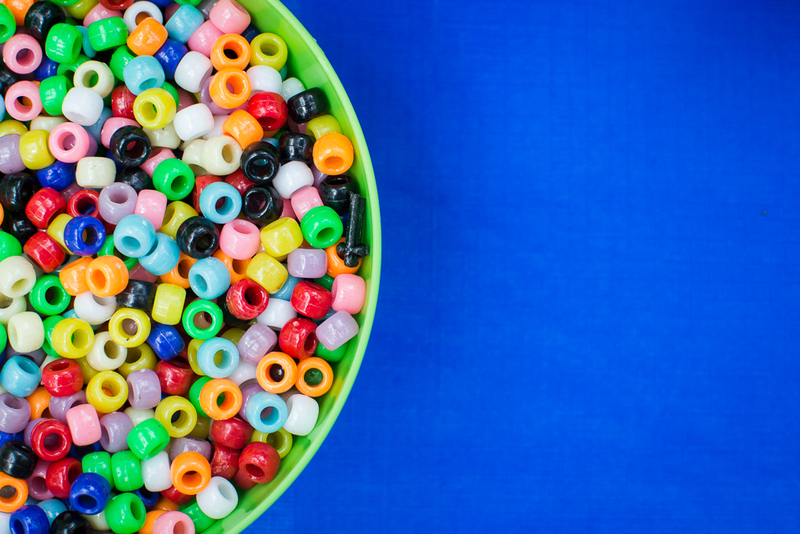 The wreath was made with cupcake wrappers, gumballs and vinyl records. 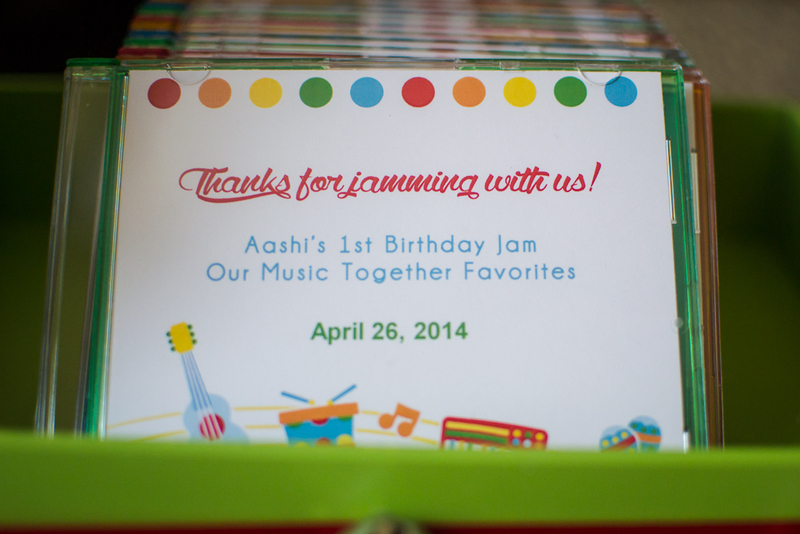 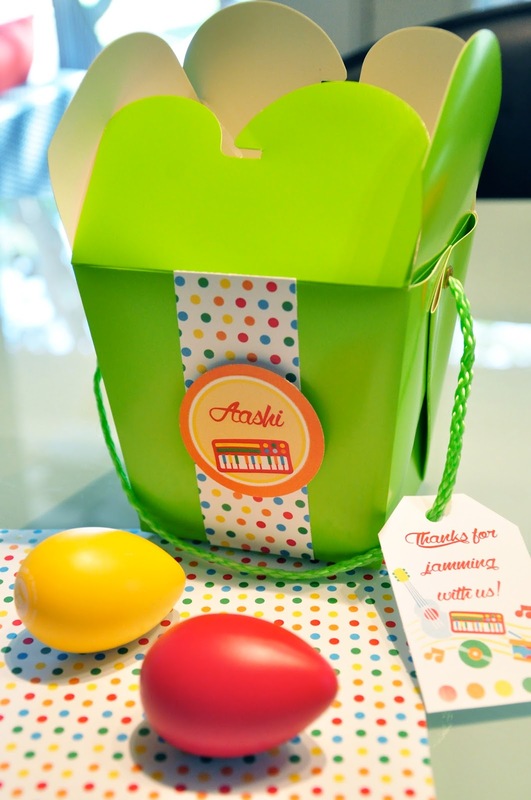 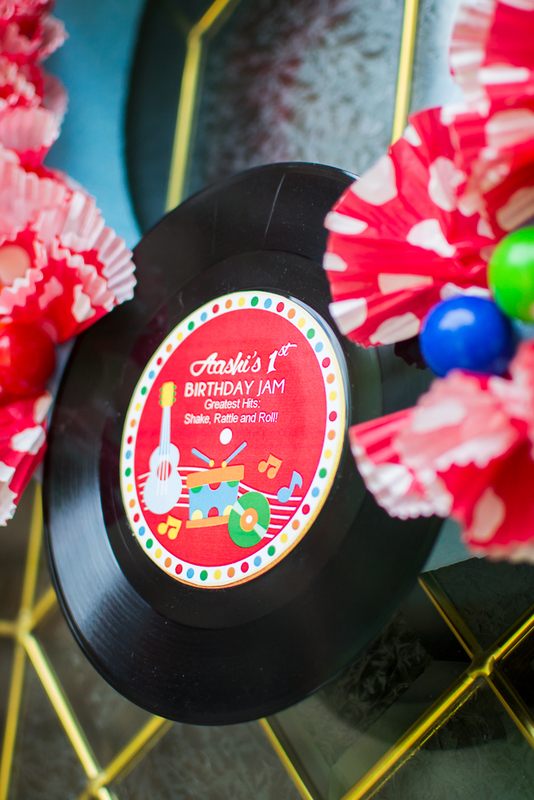 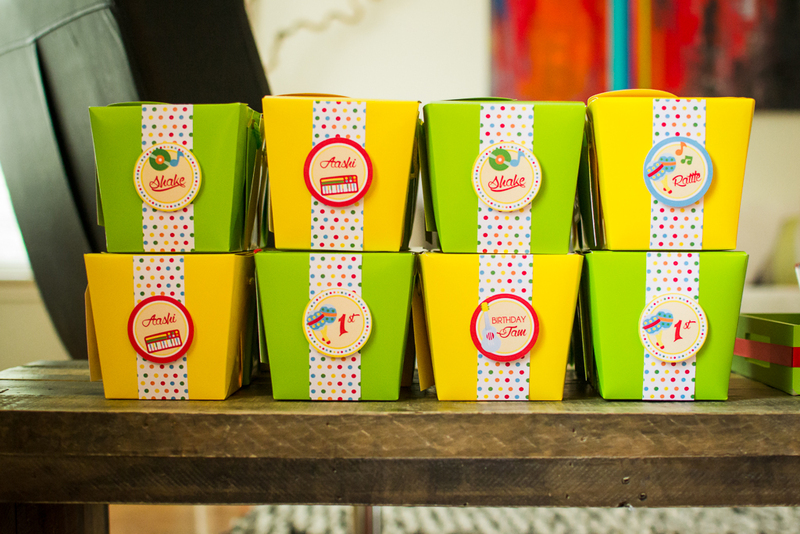 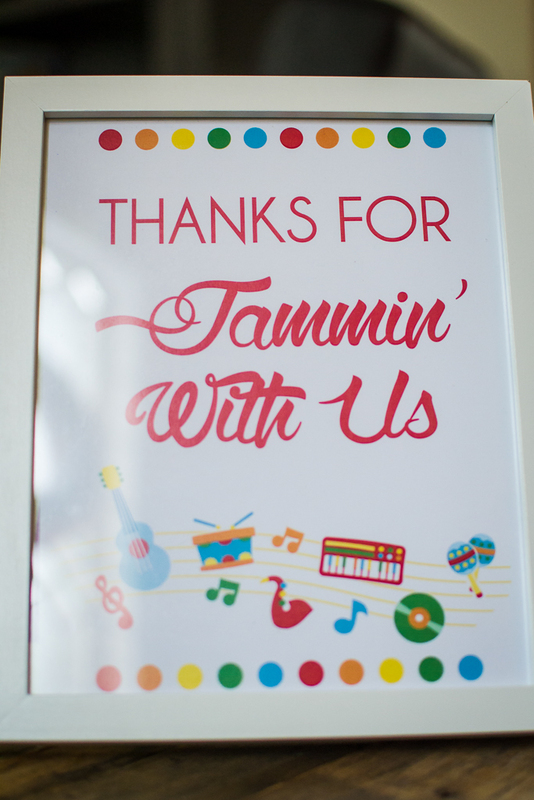 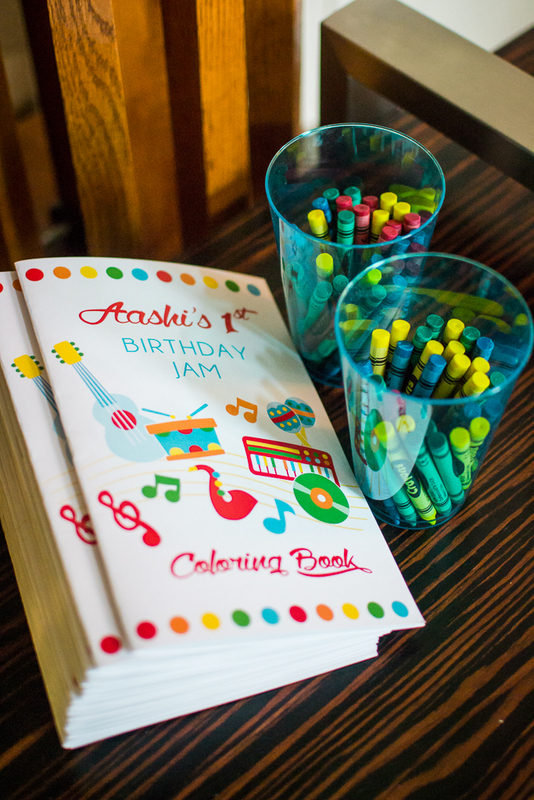 Party favors included egg shakers, coloring books and CDs with our favorite Music Together songs.